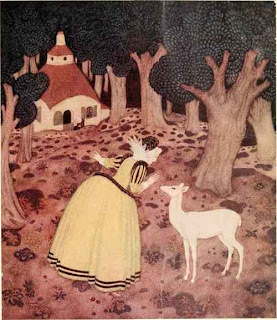 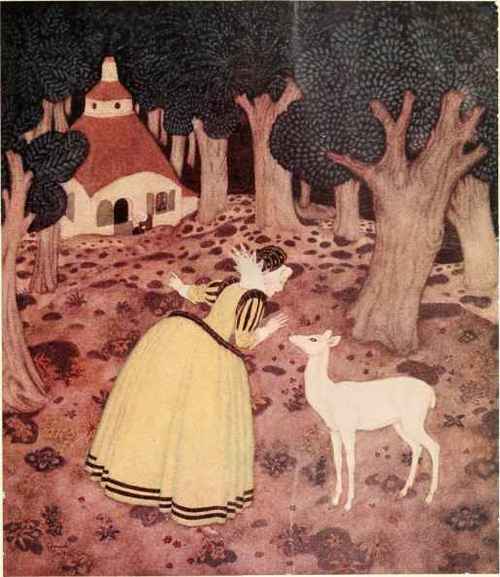 From the French story (The Hind of the Wood) of the enchanted hind who became a princess at night time. 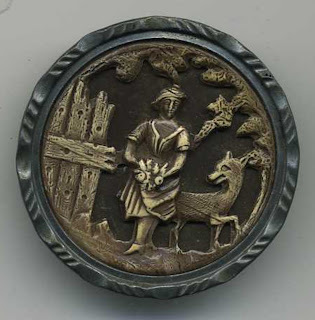 Stamped and tinted celluloid over a darkened metal background. Brass rim, steel back and wire shank.